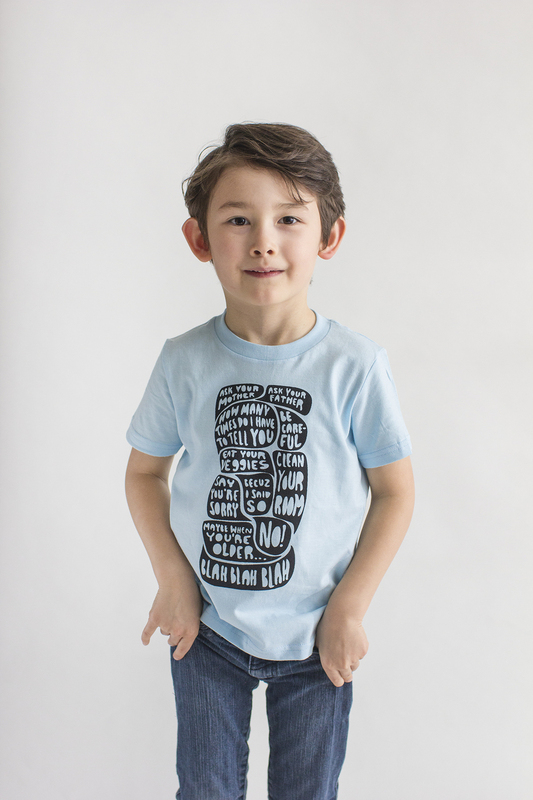 It's St Paddy's Day this weekend and with Spring around the corner, I figured this would be the perfect time have a SALE on our popular BlahBlahBlah tees for kids! 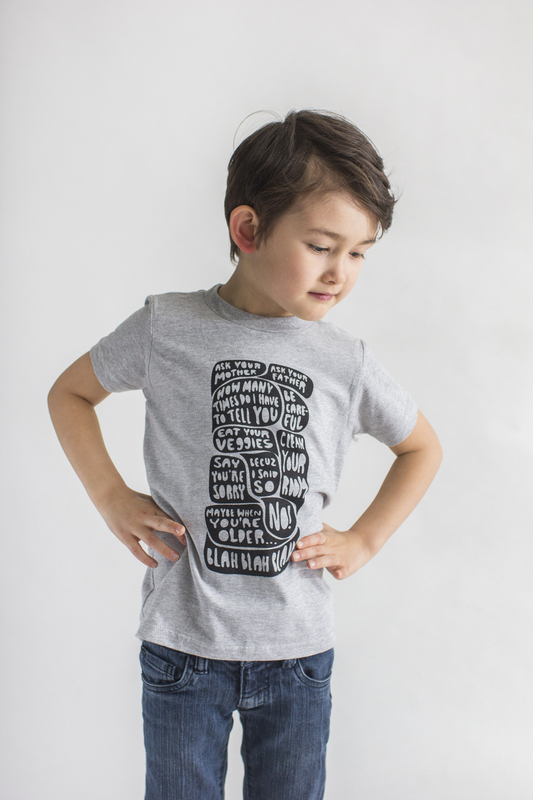 This Pauhaus design is screen-printed by hand onto comfy, cozy, long-wearing American Apparel cotton tees, and has been a hit with kids and adults alike over the past 4 years. 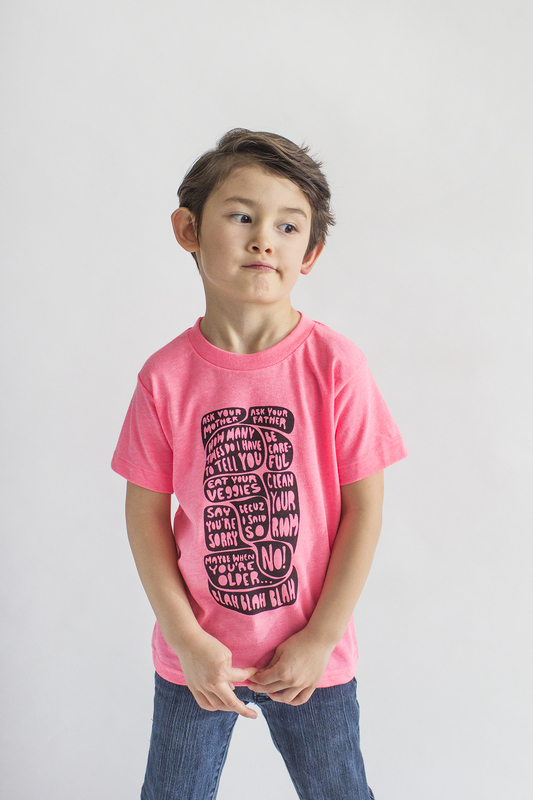 Tees are available in size 2, 4, and 6 in Green, Blue, Grey and Neon Pink while quantities last. Moses will be 5 in May and ranks on the taller side. He is wearing a Size 4 in all colours except Neon Pink which is a Size 6. This set of FAITH HOPE LOVE LUCK magnets is one of my absolute favourite designs… ever. I came up with them last year and have been waiting eagerly to showcase them again for St Patrick's Day. As the story goes, Saint Patrick used a shamrock to help explain the nature of The Trinity while he was spreading Roman Catholicism to the Celtic tribes of Ireland (when not driving snakes off the island with his flute). The first three leaves represent the united division of Catholicism's Father/Son/Spirit or its virtues of Faith/Hope/Love. Due to its relative rarity, a four leaf clover brings the Luck of the Irish into the equation. Keep Faith in Yourself, Hope for Tomorrow, Love in every Action and I can guarantee you will always have Luck on your side. A thoughtful gift of gentle reminders for everyone!